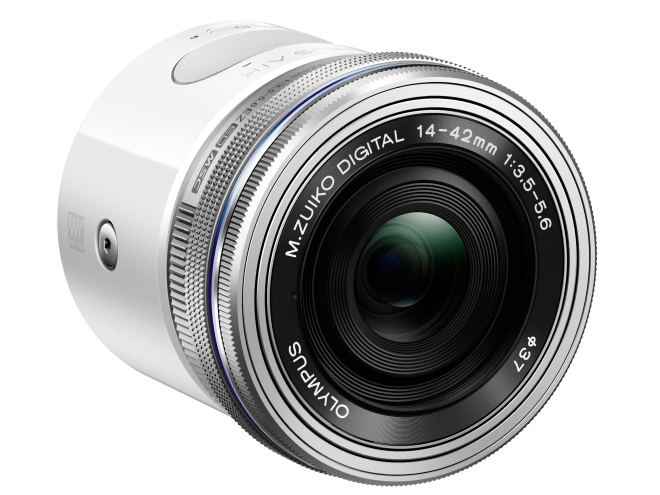 Just like the QX1, the A01 attaches to your smartphone, Android or iOS, and wirelessly interfaces with the O.A.Central app. The app allows you to control all the features of the camera, use the phone as a viewfinder, and transfer images from the camera over Wi-Fi. 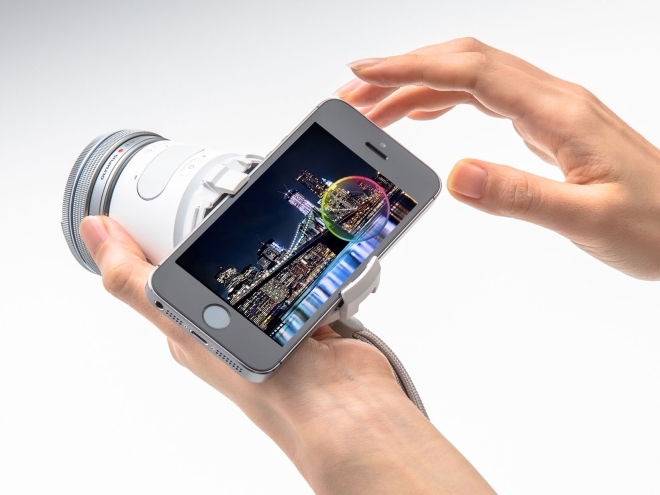 The camera also works by not attaching to the phone, and can be used in anyway within the phone’s Wi-Fi range. There is also a tripod mount if you choose choose to place it on a tripod. The A01 has a microSD card slot of its own to store images and a microUSB port to charge it. The camera can also capture RAW images, record 1080p videos, has a 10fps burst mode, and an electronic shutter with 1/16000 second maximum shutter speed. Olympus has apps available on the App Store, Play Store, and Amazon Appstore. The camera also allows uploading images to Amazon Cloud Drive through the app. 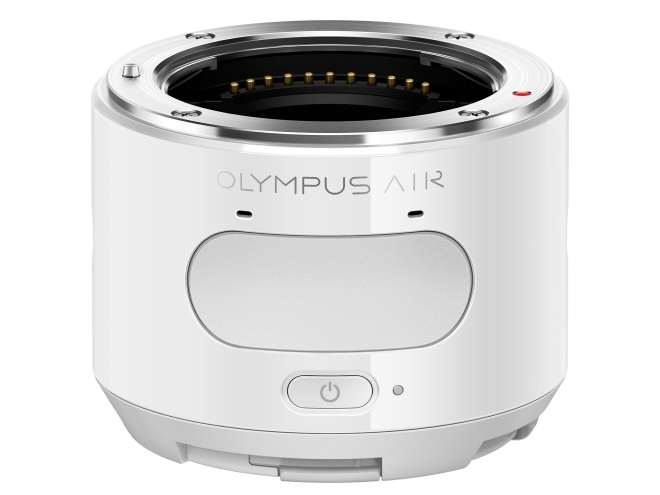 The Olympus Air A01 will be available in Black or White in US in July for $299.99 (body only) or $499.99 paired with a 14-42mm EZ lens, and in Canada in August 2015 in Black or White for $399.99 (body only) or $599.99 paired with a 14-42mm EZ lens.